New from Fairfield Chair's Monogram Collection, this credenza has a casual, yet structured feel, with transitional overtones that create a delicate balance of blending form and function. Light wire-brushing enhances and deepens the oak grains, while hand-distressing softens and wears the edges, each creating depth of color and added character. Includes Sliding doors with two drawers, two adjustable shelves, one fixed shelf and hole in back panel for electrical cord outlet. 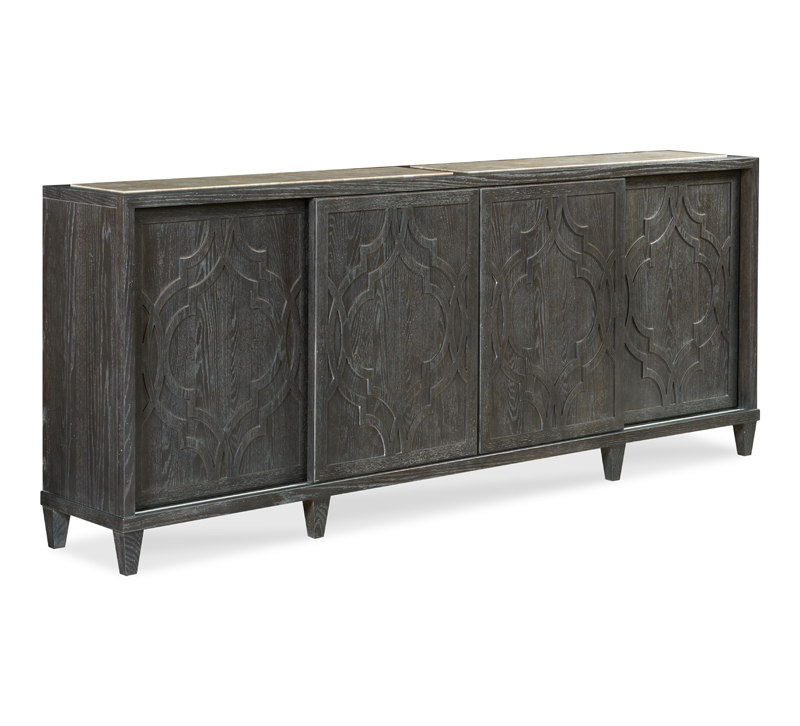 Shown here in a Charcoal finish, also available in seven other finishes.